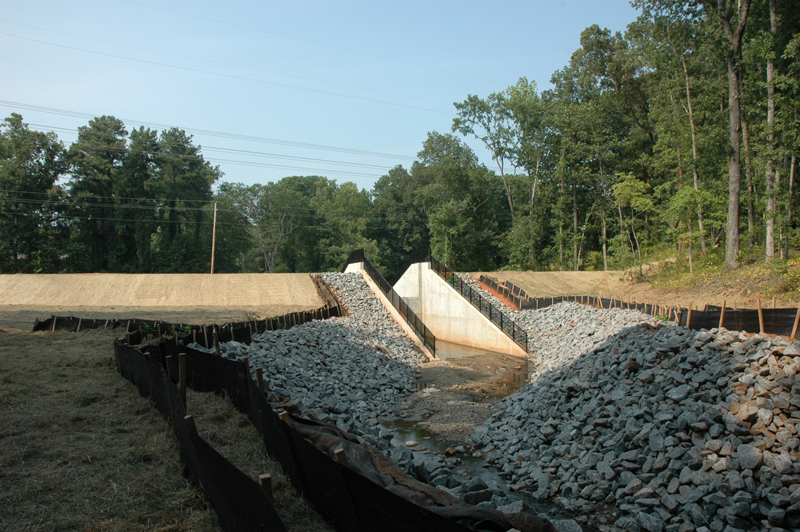 Constructed a stormwater detention structure across a tributary to Noonday Creek; about 300 to 400 feet upstream of Mark Avenue, in Marietta, Cobb County, GA. Portions of an existing sewer line and manholes will be removed from the site area. 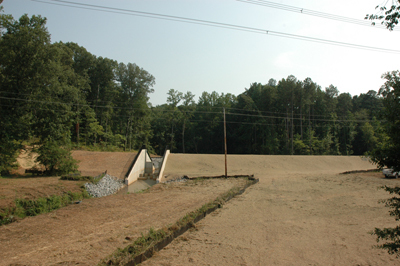 The existing lines are located in the proposed flooding limits. The lines will be located on the site to a higher elevation. 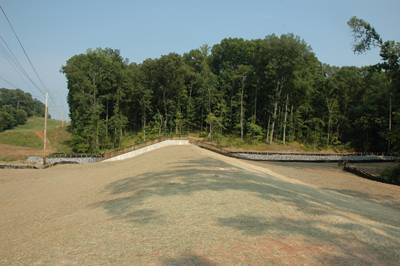 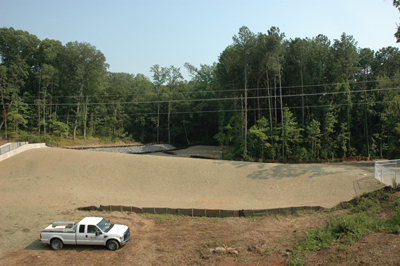 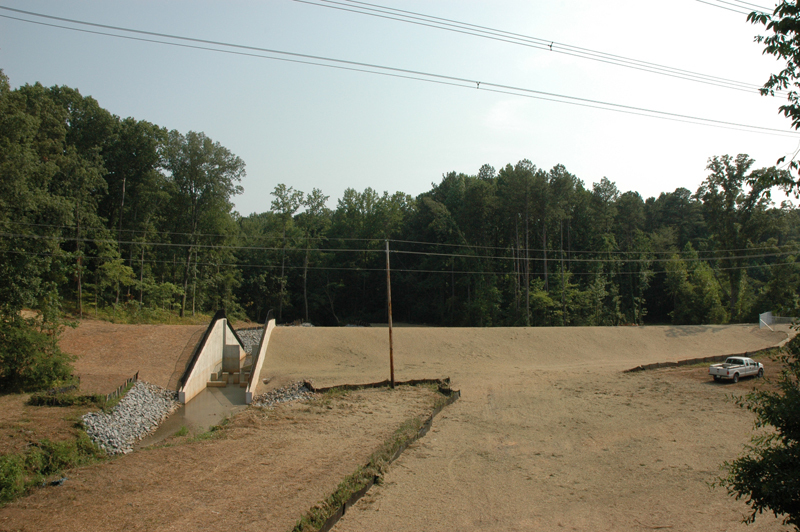 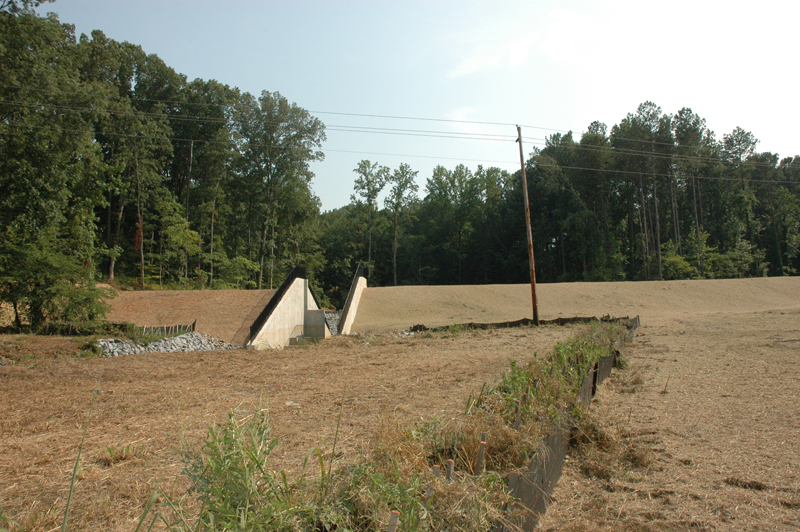 The berm (stormwater dam) is approximately 340' long and approximately 115' wide. The bottom elevation is 996' and the top of the berm is 1013' with 3:1 slopes. An 18' wide and 126' long concrete spillway with a weir outlet control structure will be utilized to control the flow from the berm. 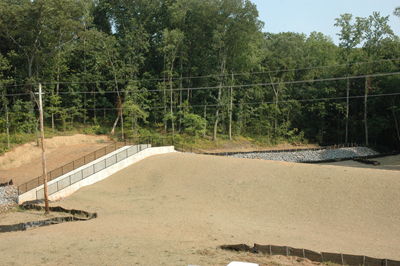 A spillway with Amorflex overflow protection will be utilized for the overflow out side of the concrete spillway.